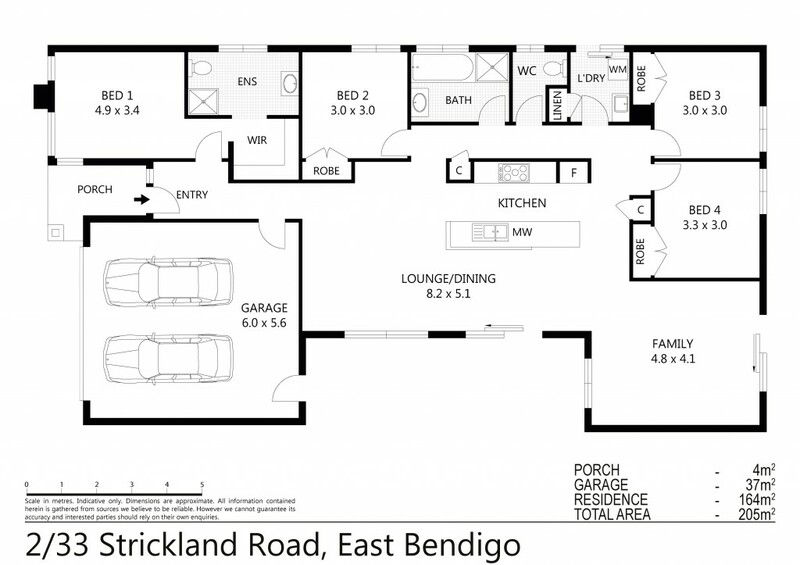 This quality built home is located in a very popular area in East Bendigo. Approx. 6 years old and set on a low maintenance allotment, this ideal family home has plenty of features and offers 4 bedrooms and 2 living areas. The quality kitchen has a 900mm electric oven with gas stove top, dishwasher, pantry and plenty of bench space. This adjoins the light-filled dining/living space, where everyone can come together. The main bedroom offers walk-in robe and ensuite, with the other 3 bedrooms having built-in robes, serviced by a 3-piece family bathroom. Separate lounge, gas ducted heating, ducted evaporative cooling plus gas hot water. The side access is great for a caravan, boat or trailer, or just extra room for a couple of cars. Under roofline double garage with remote door and easy access directly into the home. The location is great offering bus stop, shop and parks. This property is a must to see!